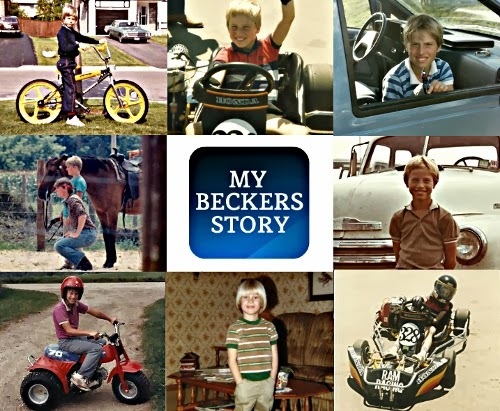 When I found myself in high school, I did face a few challenges related to living with Becker’s Muscular Dystrophy. The first issue I had to deal with climbing stairs, and over the next four years this became a part of my daily routine. You see, many of my classes took place on the second floor so there was no way for me to avoid using the stairs. Thankfully at the time when I was in high school climbing stairs was still possible, even though it was a pretty hard thing for me to do. The worst thing about climbing stairs in high school was that I was very slow when it came to doing it, which usually resulted in a long line of kids waiting for me to make it up the stairs. Eventually, I had to become really creative when it came to dealing with stairs at school. The first thing I started doing was trying my best to get to the stairs before everyone else, that way I could avoid climbing stairs in front of the other students. I also learned pretty quickly that it was best to use the one set of stairs in the school that no one else really used. These two things really went a long way in helping me survive four years of climbing stairs at high school. 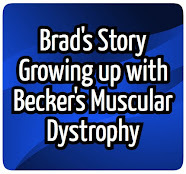 When it came to other issues at school, some of them had nothing to do with me having muscular dystrophy. You see, during my school years bullying was a major issue for me and it didn’t end when I reached high school. Since I didn’t have any friends, the other kids at my school viewed me as an easy target - so I learned early to deal with insults and not being included. Sadly, there was even a time during high school when a few kids spit on me during class. Thinking back, I can’t believe I put up with that kind of treatment - all I know is that if it happened today it would be a different story. Sadly, not being able to fight back meant I just had to sit there and take it. Thankfully there were a few moments when I could fight back without getting physical. I actually remember a time when my English teacher wanted us to complete group projects. Long story short, I was put into a group and they expressed disappointment with me being a part of their group. It was at this point I decided that I was going to do my own project separate from what they were doing. When it came time to hand in my project I received the highest mark in the class. My teacher even asked if he could keep my work to be used as an example in his other classes. In the end, I achieved my goal of making them regret not including me in their group. As you can see, not all the challenges we face will always be related to our condition. All I can say is that I was very happy when the day came that I graduated from high school since the challenges of fitting in and climbing stairs were finally over. One thing I am very thankfully for is that I made it through school - sure it wasn’t fun at the time but I survived. In life, we will face all types of challenges, some related to muscular dystrophy and some are just a part of life, but one thing that is good about school is that one day it will be over with and it’s at that point when life truly begins. For work, i recently tried working in a warehouse where i collapsed from exhaustion...but i have no choice but to keep trying in that workforce because i have to help provide for my family no matter what. 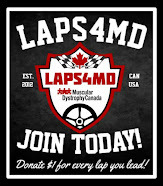 Muscular dystrophy is a hurdle. Brad, your High School experiences really brought back some memories. We moved to East Lansing, MI when I started the 8th grade so when High School started the next year I really only had one good friend. My younger brother also has BMD so that I did have someone who understood to talk to. Unfortunately, I was not exempt from PE during High School and had to take two full years of it in High School. That was really difficult but in a way I'm glad I did take it. I struggled with running but was able to do it very slowly. I walked and ran funny and often got teased. I was tall and also very skinny and got teased quite a bit all through High School. My High School also was on two levels and stairs were a pain. I used to sort of run up the steps which allowed me to take them faster. I used my owm momentum. Be being really skinny I think allowed me to run and climb steps all through High School. I did try to use the steps that no one else used. I had one really good friend who lived near the student apartments we lived in while my Mom went to Michigan State. I was quite the loner in High School. I joined the school Co-op class my Junior year and got to help run the school store. I also got a part time job during my Senior year which I got partial credit for towards graduation. I worked afternoons and only went to school in the morning that year. I met my wife during High School. She attended another High School in the area. It really made a difference because no matter what happened in school, I had her. We are still married to this day and have a 16 and 21 year old daughter. Graduating High School was the best thing that ever happened to me. High School was a necessary evil which actually made me stonger. Nice article Brad -- my HS got an elevator literally the year after I left. I took that as a sign that climbing steps the way I did was supposed to be a learning experience for me. :) I probably got good exercise too. But it still was annoying!